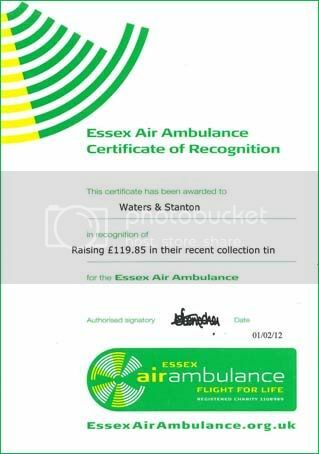 W&S have been presented with the below certificate for raising £119.85 for Essex Air Ambulance over the last year. We collect for Essex Air Ambulance on our shop counter throughout the year, and would like to thank all those who have donated during the year. You are currently browsing the Waters & Stanton Blog blog archives for February, 2012.